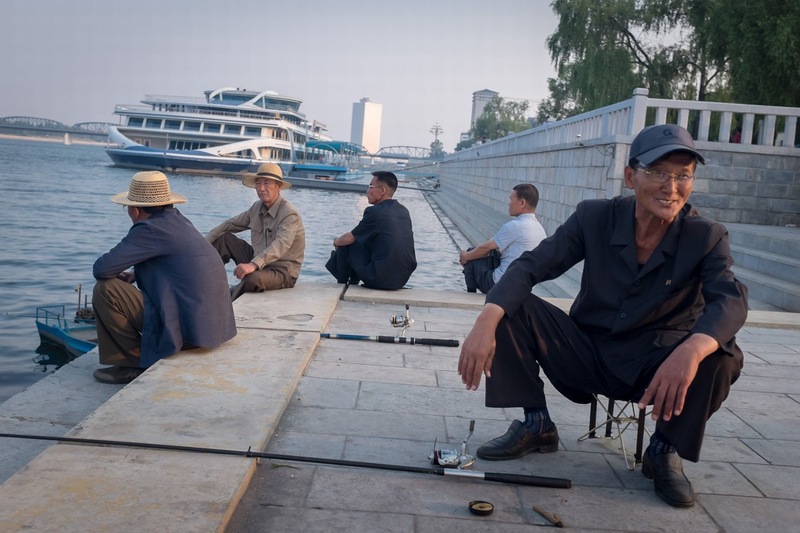 Fishermen chat about the day's catch in the River Taedong off Pyongyang's central square in this candid image from Shane Horan, international tours manager for Young Pioneers Tours. 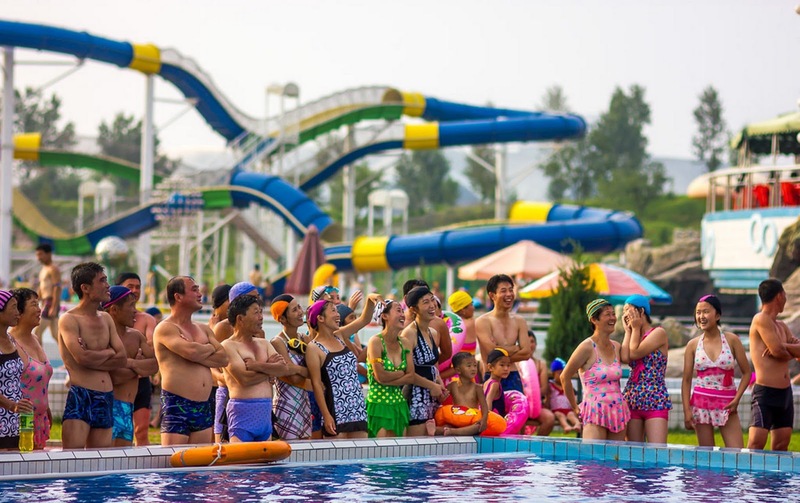 Locals laugh at their friends making the leap off a 10-metre board at Munsu Water Park in Pyongyang. 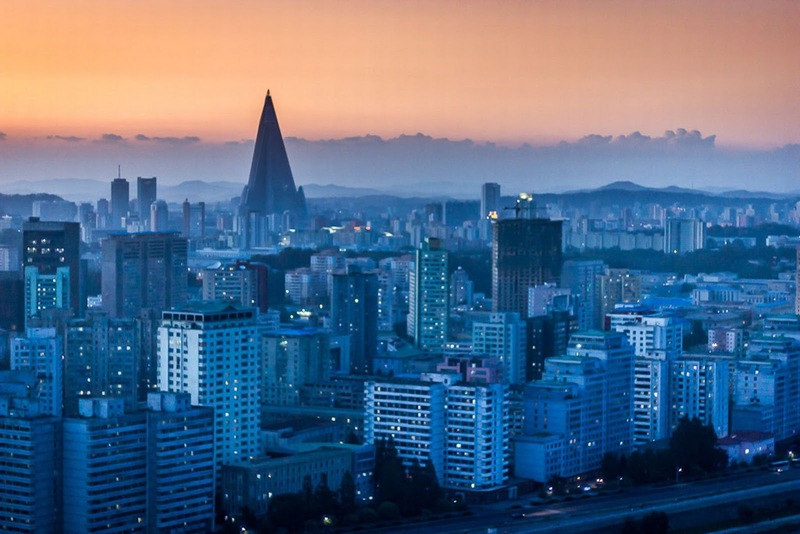 The 105-storey and still-unfinished Ryugyong Hotel dominates the capital's skyline from every vantage point. 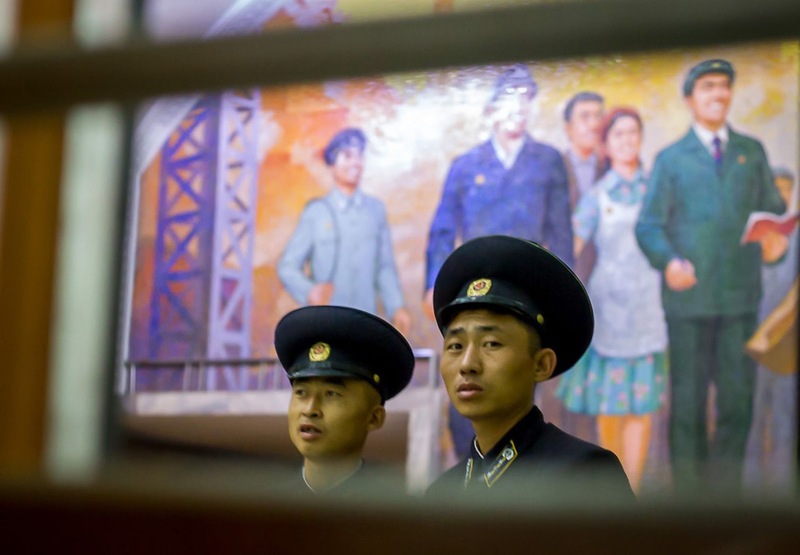 US tourists will soon be banned from entering North Korea, according to tour companies operating there. 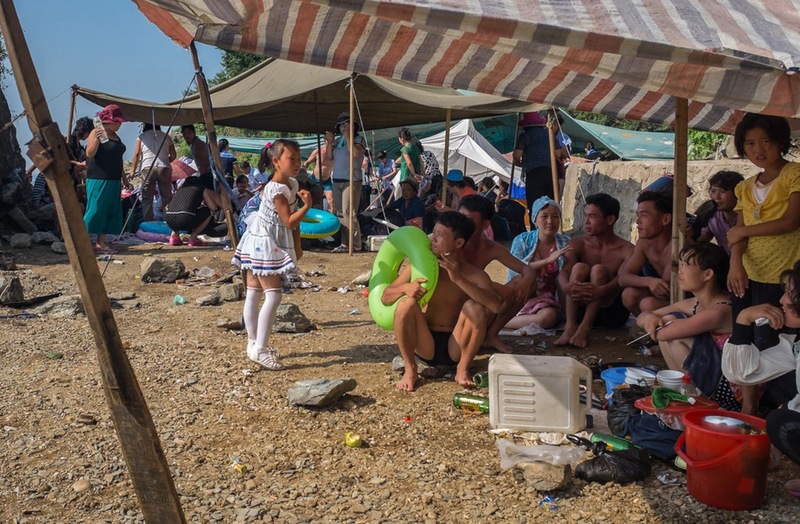 Locals gather at a beach on the West Korean Sea at the mouth of the River Taedong and near the important port of Namp. Two metro conductors watch and wait for the doors to close before departing from a station in the capital city. 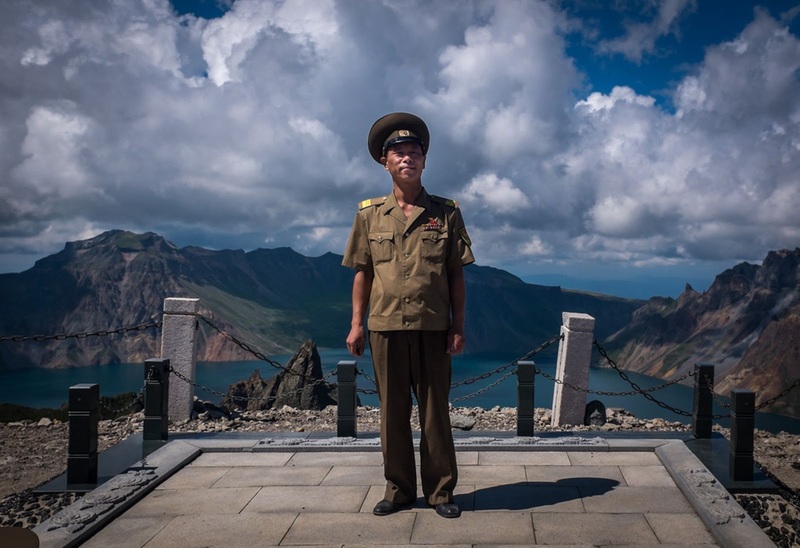 An army officer in front of Mount Paektu on the northern Chinese border. This is a sacred place for North Koreans and it is said that Kim Jong Il was born at the base of the mountain. 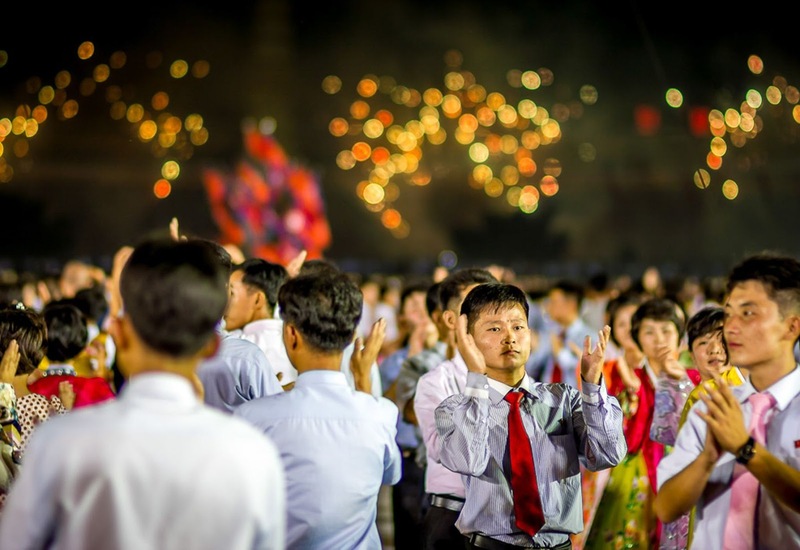 University students participate in a mass dance with several thousand of their peers during the Liberation Day 70th anniversary celebrations. A lone girl in her Young Pioneer uniform walks along one of the traditional Korean rows of Sariwon city in North Hwanghae province. A local guide wearing a traditional Korean chogori or Hanbok in the midst of heavy industry. 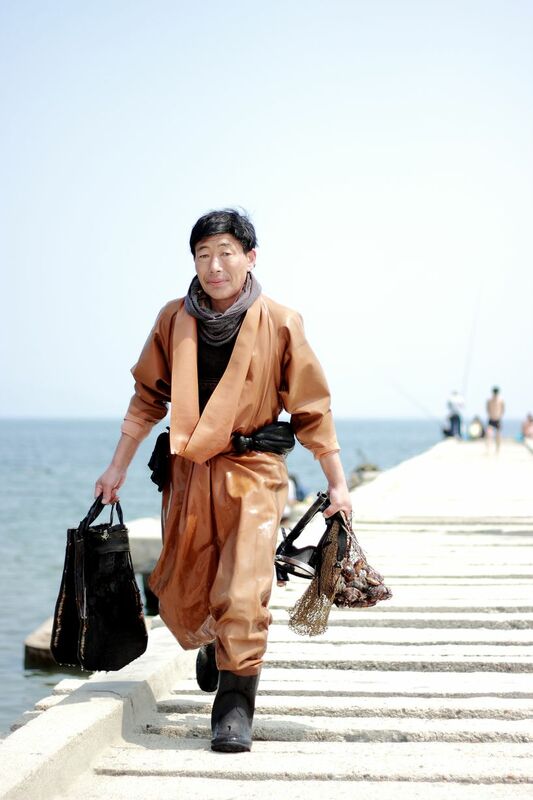 A scuba diver/fisherman in retro gear emerging from the ocean on Wonsan beach on the east coast of North Korea. 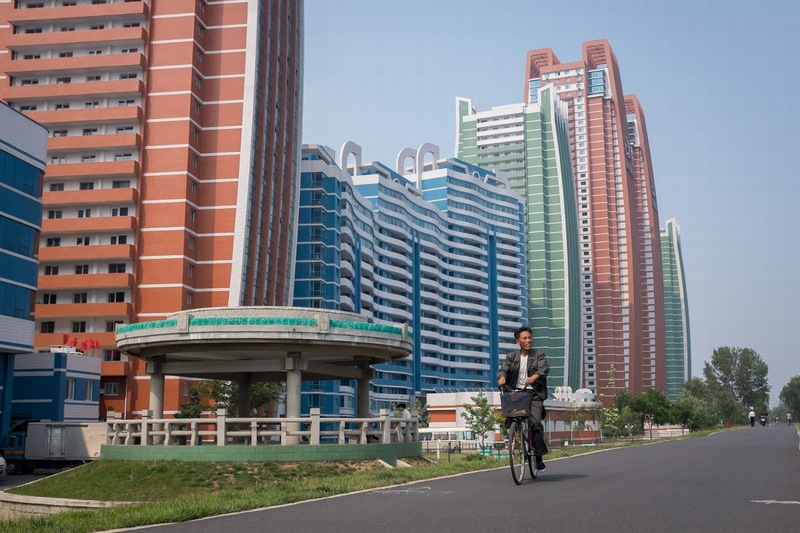 A cyclist on the newly built 'Scientist Street', built for the workers at the university in Pyongyang. Two tour guides on duty at the Water Park in Pyongyang, a major tourist attraction in the city. 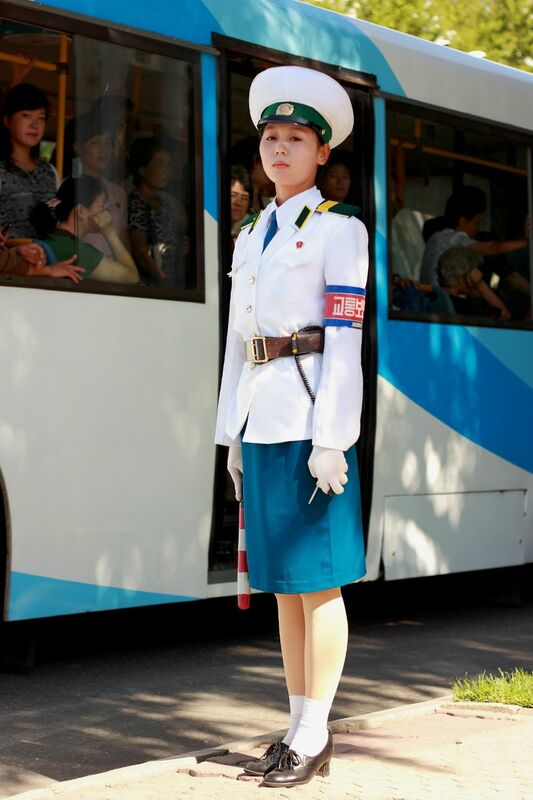 A traffic cop in Pyongyang where - like in all aspects of North Korean life - rules are brutally strict. 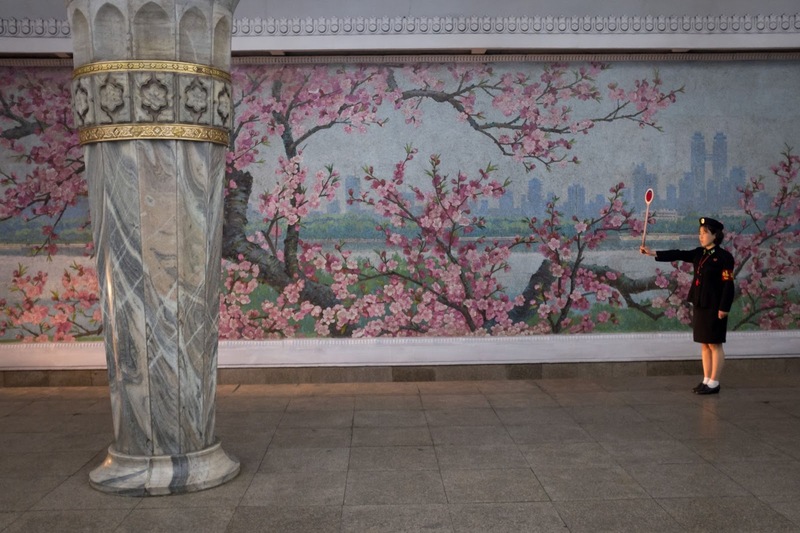 A metro worker is illuminated by an oncoming train at Glory station in Pyongyang, which is home to one of the world's deepest underground rail systems. 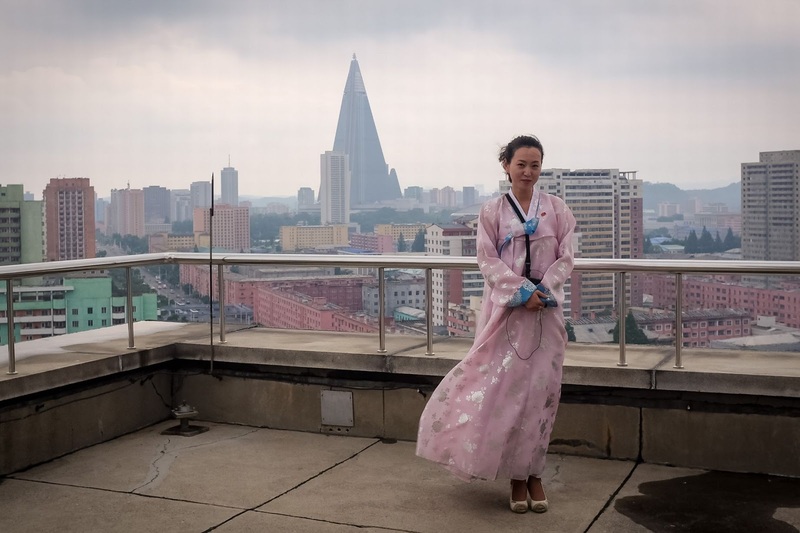 A local guide poses on top of Pyongyang's Arch of Triumph, built to commemorate Korean resistance to Japan.